It’s going to be a good day for Rose and Kenny, her wingman, when they go to see Claire at her work, the Scarborough Museum. Meanwhile, Nathan does his best to get back into Angela’s good graces. Enjoy the soundtrack? Please read about the musicians below! (also a link to download Robyn Dell’Unto’s “Good Day”. “The Museum Outing” was filmed on location at the Scarborough Museum. We thank them for their generosity and kindness while filming this episode. This episode was voted #1 in We Love Soap‘s Indie Soap of the Week poll, for the week of April 29-May 5, 2012! You guys also voted Rose & Claire as favourite couple of the week for the 3rd time in a row! Also in this poll, #2 Kate Conway & #3 Caitlynne Medrek were voted favourite actresses, and #2 Will Conlon as favourite actor! Once again, Out With Dad is pleased to feature great music by local artists from across Southern Ontario. Be sure to check them out! You can listen, download and purchase their songs and albums below. These talented people have supported Out With Dad by sharing their music with us, please support them! I discovered Robyn Dell’Unto’s music over a year ago thanks to a friend’s recommendation. Love her music. I immediately thought she’d be a good fit for Out With Dad, but never got around to trying to contact her. Last fall Kate tells me about a high school friend who is a talented songstress … who happens to be Robyn Dell’Unto! Robyn had discovered Out With Dad and contacted Kate right away to share her pride – and even told her she’d love to have her music in our show some day. I couldn’t have been more excited. Kate had even suggested this very song for this very scene. I’d originally conceived it as being as scored scene, not one for a song. I knew it was a good idea, but wouldn’t know until I started editing. Sure enough, Kate was right. It’s a brilliant song! She’s since remixed (as heard in the end credits) and you’ll be able to get it for yourself in the very near future! Robyn is giving away the version of the song that appears in this episode here! Check out Will Conlon in her music video for her song “Behave”! 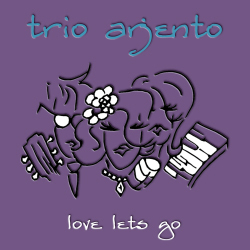 Carrying on the tradition of Trio Arjento music associated with Nathan and Angela, once again I’m delighted to have another one of their beautiful songs in our show. I needed to extend the song during Nathan and Angela’s conversation – and also mix it such that Marcy Hull’s happy voice didn’t interfere with the not-so-happy things Angela has to share during the middle. Tom Shea was able to get me separate tracks so that I could do just that. Tom tells me we couldn’t have done it without the help of Amy King at Grant Avenue Studio in Hamilton, for extra mixing, and Jeff Griffiths for the drums. I was so excited the whole time! Loved this episode. I hope the next season comes out soon!! 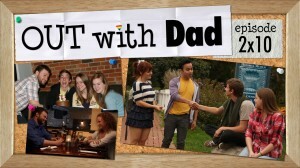 😀 Congrats on making this awesome web series! Its almost the middle of June, do we know yet when the next episode is being released? It seems like a extra long wait since we got that bonus episode and the regular one in May. Let me guess…. Rose and Claire are going to become a thing and then Vanessa is going to come back into the picture. I hope Rose falls in love with Claire and doesnt break her heart when Vanessa steps back into her life because I’d be genuinely pissed if Claire’s heart got broken. I miss Vanessa… Everything with Claire seems so easy. Yea, it’s good to see that things doesn’t need to be that difficult, but still. Vanessa has been Rose’s best friend like forever, so there’s a lot of stuff built up there. It seems like there is just so much into it. And the conflict with her mom and stuff. Well, maybe Rose and Claire become a couple before Vanessa comes back into the show. Seeing what she lost, she might turn jealous. Or maybe she accept that Rose becomes happy with someone else and they can become friends again. Best episode ever, i love how Rose finally has someone to keep her mind off of Vanessa. His friend of adventures, comming out… is Kenny =) and… i think that other people. like the date of her dad, become soon in a good friend . it´s a difficult process. So different to all of us. where is 2.11? I’m waiting about 2 weeks for new episode..
Nussaaa adoro esses episódios muito legais..
wow, i loved the episode and can’t wait for the next one. i like that rose and claire are developing a relationship and it’s really cute but i’d still LOVE to see her and Vanessa end up together. keep up all the great work, guys!! Me encanto el episodio, y Claire me parece un buen personaje, es muy linda y dulce, se ha convertido en mi favorita, <3 me parece perfecto para Rose. I’d love to see that thread! Vanessa always rubbed me the wrong way. I love Claire. Love. Please don’t ruin that! Please. I want Vanessa to have some form of closure, but can we have that not involve Rose, kay? I loved this episode! I mean, I love all the epsiodes of OWD, but I love the way this one showed a much more ‘free’ side of Rose. I love that Rose has found Claire!! I think it is a really great relationship for both characters.It’s very sweet and I am loving watching it! I am just wondering if we are going to see Vanessa in future epsiodes?? I am particularly enjoying Kenny and Rose’s relationship at the moment!! 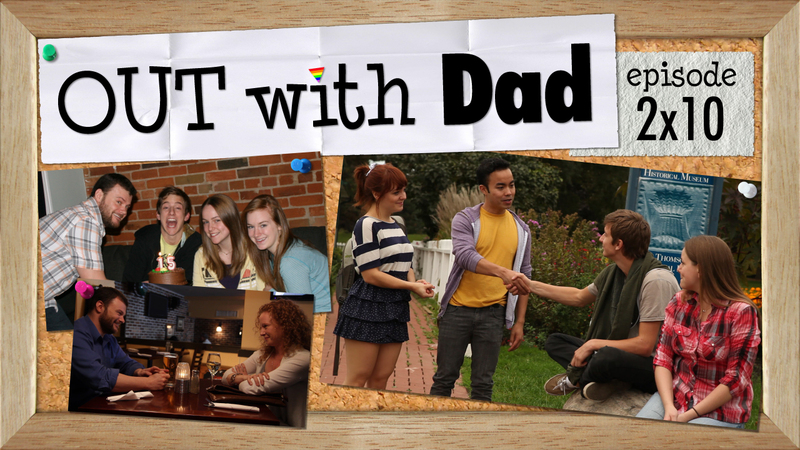 I think the ‘Out With Dad’ family (cast & crew) should be incredibly proud of the show and the stories you represent! I CAN’T WAIT FOR THE NEST EPISODE! me parece lindo el episodio pero aun guardo las esperanzas de ver a rose y a vanessa juntas, en fin me agradan mas como pareja. Felicitaciones a todos los que participan, hacen una gran labor y una exelente actuacion, las historias son concretas y directas, felicidades…saludos des de Panamá. Omg I loved this episode!! Super cute. Loved Claires personality would totally love to date someone like her. But like so many people have previously mentioned Vanessa needs to get her act together because society will keep pushing you down if you dont stand up for your self. I really relate my current GF to Vanessa because she wants a break for the summer so her parents wont keep hating and saying stuff. We’ve been together over a year and neither one of us want to break up but the pressure on her is becoming to much I honestly dont know what to do, I wish I could get her to watch the shows with me but everytime I turn them on she gets upset that I’m on the computer. anyone have suggestions? I had the same situation with my ex girlfriend’s parents. I was dating my best friend. Her parents knew me very well. But never found out we were dating. We dated for over 2 years. Everytime we went out with her parents, we would have to hide the fact that we were madly in love with each other. My mum didn’t know either. But I think she may have figured it out. Anyway, anytime that I was at her house, she would sort of hide me from them. It was the most horrible feeling in the world. I hated it. I hated not telling them. I had enough. I just wanted to tell them. But of coarse she didn’t want to. We had a huge fight about it & broke up. We never had an adult conversation about the whole situation and what we were going to do about the situation. So what I am trying to tell you, I guess, is just to sit down together (you and your girlfriend) and talk about it and what you can do to make it matter. I really hope this doesn’t end bad for you two… I hate seeing couples seperate, because one person in the relationship is not open to their parents or family or friends… (even if I don’t know them personally). Let me know how it goes or even if this helped or not? Hahahaweee, that was SUCH a cute episode 🙂 🙂 :-). I don’t know why they have not made this into a tv series I think this would totally pick up quick I mean it has a strong fan base too it this show really rocks !!! The Rose and Vanessa couple are getting old. Vanessa needs to accept the fact that she has feelings, which are more than of a best friend towards Rose. I love the fact that Rose and Claire can be open enough in their relationship. Anyway, thank you for listening to my interpretation of Rose and Claire’s relationship and my story about my coming out process. JESSICA SANSBURY what about if you love me and marry me?? Hi from Romania! I was so excited when I found the series. They are very well done and the plot is suitable for my age (I’m 18) and deals with many problems which I have experienced myself. Thank you for such a great show! I really love Claire and Rose! It was a great episode, can’t wait for the next one. So Claire is quite possibly the most adorable person I’ve ever seen. I really hope that they end up together! Rose deserves someone who is open and able to show that. That being said, if Vanessa gets her act together, this could make for an interesting love triangle. Yeah, Rose and Clair are cute and all, but it has to be just a rebound thing. Rose and Vanessa have more chemistry than anyone else, and the foundation of their friendship is more structurally sound than any other form. It reminds me of my troubles as an adolescent – it makes me wish that perhaps, someday, I’ll be able to get back together with my best friend. Our love ran deeper than the ocean… And I wish that someday, I can embrace her and call her Mine. Being in love with my best friend is the most difficult thing I’m forced to go through every day, because there’s a great chance it will never happen again. It hurts to see them go through the same thing. And besides, if they don’t get to be together, that means Vanessa’s (lots of cursing here) mother would prevail over their bond, and that’s just… Not cool. They make me smile, both of them, they´re so cute. Greating from Slovakia. Keep the fun coming, I´m loving this show!! I SO agree with you here. I will have her!!!!! STOLEN!! 😉 ahaha!! Na boa.. adoroooooooooooooo esssa webserie, mas deveria ser um pouco maior e que passasse com frequencia, junho ta muito longe..affff.. mas vou aguardar pq eu amo a personagem da kate. abraços. yeah! great episode! I had butterflies in my stomach when Rose and Claire grabbed their fingers ;o I love watching you ! Once again you have created an amazing episode. All the episodes are incredible, but this one is by far my favorite. I get those butterfly nervous feelings and have a big smile on my face every time I watch it. It’s just like I’m experiencing my own first coming out all over again 🙂 You do such a fabulous job of connecting your audience to your characters. I can’t wait to see what great things happen for Rose and Claire! Just when we think everything is so dramatic in our lives we find ease. I remember watching this show from the begining and thinking how amazing it was! You’ve all made it into something in which I never thought could get this good. Every time I finish a new episode I’m hanging on for the next one! And Claire and Rose AHHHH SOO CUTE!!! Gosh I know that feeling you get when you first have a crush on a girl you get those butterflys and you say things out loud that you think (I personaly have done this several times beingthe clumsy compulsive nervous lesbian I am) and “I think you smell nice.” XD I bursted a gut laughing at that. You can so see the conection! Can’t wait to see more of this couple! I agree with you on this!!! The Claire and Rose couple, SOOOO CUTE!!!!! Terrific episode! Very sweet how both Rose and Claire have guy friends they share stuff with. (The pinkie grab reminds me of a girl I once knew in school.) Earlier episodes made mention of an upcoming dance and Vanessa’s parent’s trying to set her up with a geeky guy from their church. Here’s hoping you have Rose and Claire attend the dance together along w/ Vanessa and her ‘date’. Would certainly be memorable. I have read all of the post so far and have to agree with every one. Showing Vanessa’s anguish and her dealing with coming out is still part of what I think these episodes are about. You people in Canada know what you are doing,( I am still waiting on DAMNED/ to each her own by Heather Tobin, another coming out/ struggle/ love story) I just recently watched I can’t think straight and it did not show as much love as OwD has. I am a bi male and you Jason are bringing out feelings that we ether have already gone threw or are going threw now and that is a very, very good thing. I just wish guys could get that torn up about who they want to be with. Even most gay men I’ve ever met don’t have that much heart into who they love. Thanks again for your work and am waiting for the next episode. I really have difficulty expressing how much I love this show, let alone listing the reasons why… This episode has to be my favourite by far, very well done! Kenny seems like the best best friend possible, and I’m so happy for Rose that she has something brewing with Claire. I also totally relate to her feeling awkward beyond belief. 😀 And since everyone else seems to be weighing in, “Rosaire” all the way. Vanessa has to sort things out for herself anyway. I say that Vanessa is Rose’s true love. They have been best friends for so long and they really know each other. With Claire it’s not someone she know that well, but someone she knows a little (I think). Still, when Vanessa does see that she has some competition, then maybe she will try to fight to get Rose interested. Still, I see that Claire does have chemistry with Rose too. So now the table is kind of turned toward Vanessa. If she doesn’t do something, Rose will be together with Claire. It would be strange if Vanessa just let it pass because the last thing we saw of Vanessa proved that she really does love Rose. Still, we haven’t seen any struggle between Claire and Rose, so it seems easier. I just think for the show in itself it wouldn’t be interresting watching a show where everything goes smooth and easy without challenges. Challenges are part of real life and life without challenges would be boring. I definitely have a crush on Claire! By the way it’s a wonderful episode. Well written, well acted, well filmed. I love the camera perspective on theirs hands, so cute. The chemistry between Rose and Claire – wow! Rose and Vanessa will be sweet couple, but Rose and Claire.. Mmhh I love to see them together. But I also agree with the comment from Emma down below, please don’t use Claire as a dummy to make Vanessa jealous, she is too special and kind. Awesome! I loved it. Thanxs a lot for sharing your art with us, a big hi five from Venezuela. Hi, congratulations! You are doing a great job! I’m from Brazil, although I understand English, I loved that episodes submits in Portughese. Thanks. Can’t wait for the next!!! Love it! I love that Rose has a friend like Kenny to be her wing-person! I also agree with Emma’s comments above…that’s something my best friend and I would have done in HS too (and she’s not gay). Thanks for posting, can’t wait for the next episode of course. another excellent episode. Even Rose and Claire’s pinky fingers can act! I do like their developing relationship. Rose needs that openness in her life. And the ending! Rose is such a sweetheart (and, of course, so is Claire). As always a very nice episode. Thanks. On another note, I think you should make OwD tee-shirts available to buy separately. The price to get one now is a bit more than I can afford, and I think I am not alone in feeling that way. And, re: t-shirts, we plan to do that eventually! This is the 1st thing I watched when I got home. I wasn’t dissapointed. Good to see Rose with a smile on her face. The pinky hold was so sweet. I don’t think Vanessa is anywhere near to being comfortable with her feeling’s for Rose. I’m all for a Rose & Claire pairing. I LOVED IT!! Such a sweet episode. If things go well for Nathan and Angela (I hope so, I like them together), it could be interesting to see how Rose would react to another woman being around after all this time, and then if/when Angela’s children are brought into it, I can see her daughter giving Rose a really hard time about being gay, as a reaction to all the bullying she went through because of her Dad, then there’s Angela’s Mum of course.. I really loved Rose and Claire in this episode. They are lovely together, and I kinda hope she isn’t just going to be used through the story as a way to make Vanessa face up to her own reality, and then disappear. Saying that though, I would love Rose and Claire to go the dance that was advertised in the English classroom, and buy a couples ticket, just because its cheaper than going alone (at least that’s what they will say to each other!!) and for them to see Vanessa there with that boy she is being set up with. Could be interesting!! See, I’ve said before that I spend waay too much time thinking about this!! Can’t wait for the next episode, where ever it takes us. Awesome. The date felt a bit scripted at times but I really like Angela. Rose and Claire are adorably awkward and wingman-Kenny is my very favourite thing. He pulls it off gracefully to do salt everything with humour while still supporting Rose. Every ep﻿ i watched i just want more, this is really good, keep it up. J’espère vraiment que Claire et Rose vont être ensemble, même si ça dure 1 jour je veux un baiser de Claire et Rose! S’il vous plaît! This has been a really cute episode!!! Don’t get me wrong, I like Claire, I really do, but I don’t like Rose and Claire as a couple or a potential couple. Rose moving on is sad to me. And I miss Vanessa 🙁 I liked Nathan and Angela.